On November 28, 2018, all Columbia alumni and friends are invited to the second installment of the Engineering for Humanity lecture series, focusing on complementary perspectives on a healthy humanity. As technology development makes health and wellness more personalized, precise, interactive, and focused on a holistic view of the patient, we are highlighting some of these critical advances on improving human health. Providing these perspectives are Professor Elizabeth Hillman, Gregory Dorn (President of Hearst Health) and Shivrat Chhabra (co-founder and CEO of Dosis). The panel will be moderated by Dean Mary C. Boyce. Elizabeth M. C. Hillman Ph.D. is a Professor of Biomedical Engineering and Radiology at Columbia University and a member of Columbia’s new Zuckerman Mind Brain Behavior Institute. Prof Hillman’s research focuses on the development of novel imaging methods that permit visualization of a wide range of new high-speed, multi-dimensional aspects of cellular structure and function. Her latest technique, swept confocally aligned planar excitation (SCAPE) microscopy is capable of very high speed 3D microscopy in intact samples and was recently licensed by Leica Microsystems for commercial development. Prof Hillman is working with a wide range of neuroscientists to apply SCAPE for imaging neural activity throughout the complex 3D networks of the living brain. She is also extending this development to explore wider applications of SCAPE including organoid and ‘on-chip’ systems for personalized medicine. SCAPE can bring fundamentally new capabilities in these systems for high-content and high-throughput structural and functional characterization including integration of perturbations via optogenetics and functional read-outs such as intracellular calcium dynamics or cell motility. 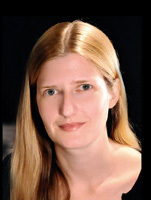 Prof Hillman’s research program also incorporates her own studies of brain-wide activity and the relationship between neural activity and blood flow dynamics in the brain as a way to better understand the fMRI BOLD signal, as well as to understand links between cardiovascular and endothelial physiology and brain disease. Greg Dorn is a senior vice president of Hearst and the president and group head of Hearst Health, overseeing Hearst’s healthcare businesses in the U.S. and globally, including FDB (First Databank), Zynx Health, MCG, Homecare Homebase, MedHOK, Hearst Health Ventures and the Hearst Health Innovation Lab. He also serves as a director of M2Gen. For more than two decades, Dorn has been focused on raising the standard of excellence for patient care across the healthcare spectrum, through clinically rigorous guidance delivered by efficient, scalable technology. He is the co-inventor of two patented healthcare software technologies that continue to be used in health systems across the U.S. His expertise is in developing and commercializing inventive and disruptive solutions that improve care quality and efficiency. Dorn received his medical doctorate from the Columbia University College of Physicians and Surgeons and his bachelor's degree from the Columbia University School of Engineering. He performed his clinical training at UCLA, where he also obtained his master’s degree in health services management. Shivrat “Shiv” Chhabra is co-founder and CEO of Dosis, a personalized dosing platform designed to change the way chronic drug regimens are managed. Dosis’s first product, Strategic Anemia Manager (SAA), was launched in August 2017 with 80 patients, and has since informed dosing for over 5,000 patients. Dosis is Shiv’s second startup and his first foray into the precision medicine space. He loves the thrill of forming teams to tackle big problems. He received his BS in Chemical Engineering from Columbia University in 2014.